PEOPLE – Beloved TV dad Jack Pearson may be dead, but that doesn’t mean This is Us fans have seen the last of him. Before This is Us starts filming again in July, the Emmy nominee will go to work shooting The Art of Racing in the Rain and enjoy one of his favorite hobbies: riding his motorcycle. While the Gilmore Girls alum typically commutes on his motorcycle around Los Angeles, he also likes escaping to Malibu or the California desert for weekend getaways with friends. In 2017, he even travelled between Portland and L.A. on his bike. 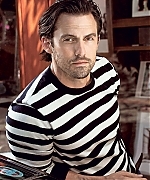 Ventimiglia got his motorcycle license at age 26 for a scene in American Dreams, costarring Brittany Snow. But his ambitions of becoming a rider date back to childhood. Ventimilgia will be taking over Harley-Davidson’s social media channels Monday to kick off riding season and celebrate the company’s 115th anniversary with the hashtag #MotorcycleMonday. 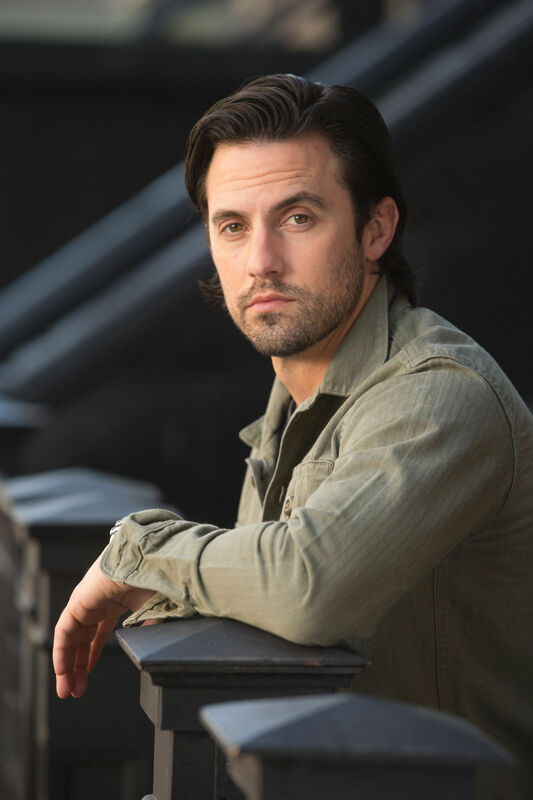 Now that the sophomore season of This Is Us has revealed a big piece of its ongoing mystery — how Jack Pearson (Milo Ventimiglia) died — the show settled back into more of the overarching family drama with its second episode of the season on Tuesday. That included the entire family traveling to L.A. to visit Kevin (Justin Hartley) at a reunion show taping of The Manny, Beth (Susan Kelechi Watson) attempting to talk Randall (Sterling K. Brown) down from spinning out over the adoption, and Kate (Chrissy Metz) coming to terms with living in her mother’s shadow. In the past storyline, viewers also saw the aftermath of Jack returning home following the epic fight with Rebecca (Mandy Moore), and confronting his alcoholism for real. The narrative also traveled back to the first time Jack promised Rebecca he’d quit, when him went to a boxing gym to confront his demons following a particularly soul-sucking day at work. To catch up on all of the big Jack reveals from the first two episodes and to preview what’s next for the Pearson patriarch, THR caught up with Milo Ventimiglia. Here, he breaks down sobriety the second time around, his special relationship with Kate, and the fall of one of TV’s super dads. What was your reaction to the house fire scene and how much, if any, of that revelation was actually a reveal for you? Fogelman had shown me the ending before it screened so I had seen it and had an opportunity to kind of process it. It’s a painful moment. Everybody asks me how I personally feel about Jack’s death but I don’t know that there is a feeling other than sorrow for the rest of the Pearsons. It’s powerful and it’s only a piece of what happened to Jack, which still remains to be uncovered. We’re kept really informed, which is nice because in essence it informs our choices as actors. We have everything we need to play these moments and characters and even to understand the timeline. It helps to know the family history; having a creator that’s giving us all the information is really beneficial. At the beginning of the first season Jack’s death was originally in the pilot so you were speaking freely about it for a while. Given that, were you surprised at how much this mystery blew up? It’s definitely who shot J.R. I never imagined it would take on a world of its own, have dedicated articles and whatnot. But that’s encouraging; people are invested and they want to know about this man and this family. All I’ve ever said is be patient and the story is going to unfold how and when it’s supposed to. Is it a relief that people have at least a bit of the puzzle revealed now? Yes, 100 percent. It’s tough. Even going into the first season when we didn’t want to give the reveal that they were actually a family, it took a lot of strategic wording, especially doing the press. And that’s something we had to be out doing, promoting. It’s difficult to promote something that you can’t really talk about because you want the audience to have a true reaction to it. I’m happy people have seen the burnt down house and that they know it has something to do with Jack’s death, but I’m still looking forward to that being completed at some point this season. What has it been like to dig into this antihero version of Jack after painting him as a hero the entire first season? I try to understand that Jack is human. As much as people have projected this perfect husband or father image on him, I’ve always said he’s made mistakes and he has a past. Those are the things that shape him and make him lead with goodness and strength and a positive attitude towards life. We saw a little bit of his past at the end of the season with relation to his father and poor choices he made when he was younger, and we’re going to dive more into that and understand his younger years. Is that projection of perfection a part of why he’s gone back to the bottle or is that a direct result of his demons? It’s his demons. If you’re an alcoholic, it’s an every day struggle. It’s an every minute struggle from what I’ve researched and based on conversations I’ve had with men and women who have dealt with this, not only for themselves but with their families. Every moment you’re thinking about it. That’s addiction. Knowing that it’s in Jack’s DNA and part of who he is, it’s something he struggles with. But he has the positivity of his children and wife so when things start to teeter those are the vulnerable moments where he questions if he can have a drink and be fine. But then that one turns to two and then more. Those issues have been packed away but we’re going to unpack them this year. Big news! Yesterday, the nominations for the 69th Emmy Awards were announced. Our favorite, Milo Ventimiglia has been nominated for Outstanding Lead Actor In A Drama Series for his role as Jack Pearson in This Is Us. Milo’s co-star, Sterling K. Brown has also been nominated in the same category. 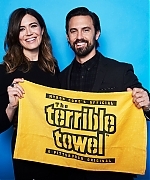 This Is Us has also been nominated for Outstanding Drama Series as well as other categories including Outstanding Casting For A Drama Series (Bernard Telsey, Tiffany Little Canfield), Outstanding Contemporary Costumes For A Series, Limited Series Or Movie (Moonshadow), Outstanding Makeup For A Single-Camera Series (Non-Prosthetic) (I Call Marriage), Outstanding Supporting Actor In A Drama Series (Ron Cephas Jones), Outstanding Supporting Actress In A Drama Series (Chrissy Metz), Outstanding Guest Actor In A Drama Series (Denis O’Hare, Brian Tyree H, Gerald McRaney). I am so proud for the show for being so widely recognized and so so proud of Milo. You deserve this nomination so much! Congrats to all of the cast and crew of This Is Us. The 69th Emmy Awards will telecast live from the Microsoft Theater in Los Angeles, Sunday, September 17 (8:00-11:00 PM ET/5:00-8:00 PM PT) on CBS. ENTERTAINMENT WEEKLY – NBC is reversing one of the biggest scheduling shake-ups of the year. After announcing to advertisers earlier this month that its breakout hit This Is Us will move from Tuesdays to Thursdays for its sophomore season this fall, NBC has decided to change its mind. This Is Us will instead stay right where it is — at Tuesdays at 9 p.m.
Sources say the main reason for the decision change is that the show’s serialized storytelling would have been interrupted by NFL football coverage. Back on Tuesdays, the show will have a continuous run of 9 or 10 episodes. In the first season, NBC didn’t have more than 5 episodes in a row before a pre-emption, so apparently, they want to stick to roll-out plan that clearly is not broken. VARIETY – “This is Us” is making a big move: NBC is moving the hit drama from Tuesdays to Thursday nights as part of a revival of their famous “Must See TV” programming strategy. Greenblatt also outlined extensive creative plans for season two of the drama, which is created by Dan Fogelman. A special edition of the show will air after the Super Bowl, on February 4, 2018. “We thought it was great for the number one sports franchise to be followed by the number one scripted franchise,” said Greenblatt. The executive producers are also planning a special Christmas episode timed for the holidays, Greenblatt revealed. Hello Milo fans! Yesterday, Milo and his beautiful This Is Us co-star, Mandy Moore talked with Nellie Andreeva about This Is Us. I have added high quality photos of Milo during the green room, presentation panel, and some gorgeous shots in the photo studio to the gallery! Enjoy! 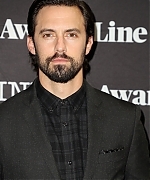 DEADLINE – Stars Milo Ventimiglia and Mandy Moore were among the This Is Us panelists Sunday at Deadline’s The Contenders Emmys event. The series focuses on three adult siblings and their parents, partly in flashbacks, jumping from character to character and between decades. From creator Dan Fogelman, breakout freshman series also stars Sterling K. Brown, Chrissy Metz and Justin Hartley and got an early renewal, picked up for a second and third season in January. Of course, a major part of making a show that spans many years using the same actors is the makeup. With the help of 12 prosthetic appliances, Moore, playing mom Rebecca Pearson, convincingly ages over a 40-year period. But the season finale — which was co-written by series creator Dan Fogelman and focuses primarily on the Pearson parents — also takes us deep into the past, specifically the year 1972, right before Jack meets Rebecca. “It’s an episode that goes beyond the Jack and Rebecca that we know,” says Ventimiglia. “Moonshadow” airs Tuesday at 9 p.m. ET/PT on NBC.